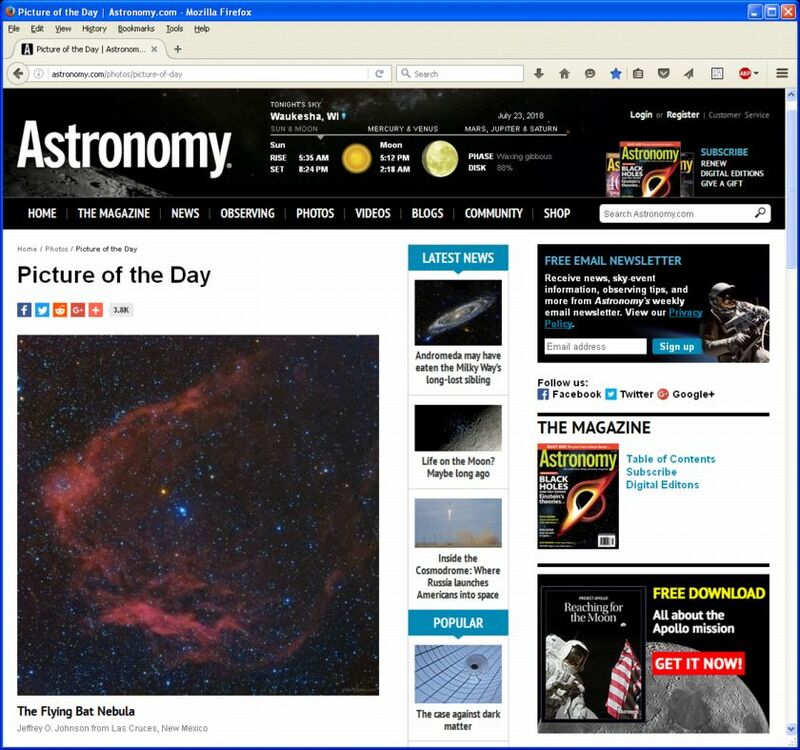 Published as Astronomy Magazine Picture of the Day, 23 Jul 18 (screenshot). 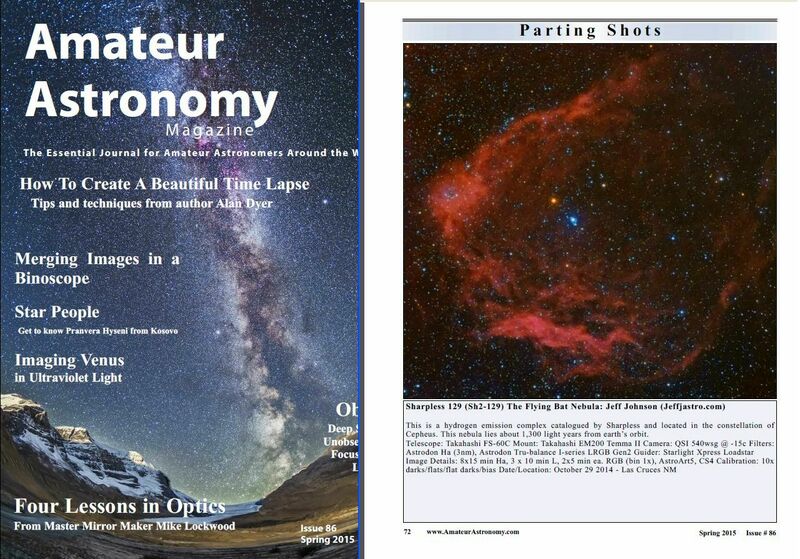 Published in Amateur Astronomy Magazine quarterly, Spring 2015 issue, pg 72 (screenshot). 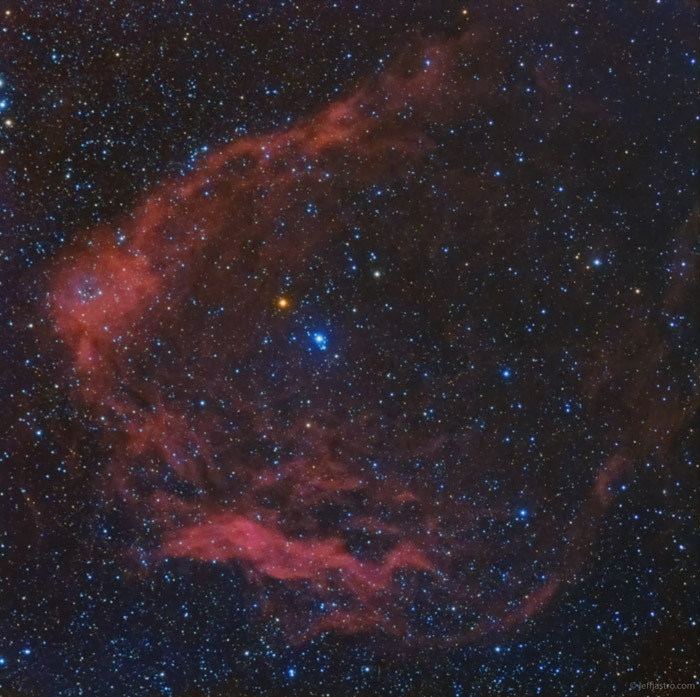 This image is LHa_HaRGB, where Ha:R (80:20) was used for the Red channel, and L:Ha (20:80) for Luminance.